Made up some cookies today, they are chocolate chip cookies. 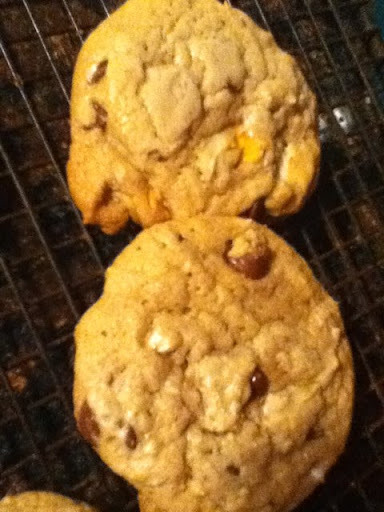 However there are white chocolate and butterscotch chips added as well. Turned out quite tasty.